Complies with the 2012 EU Regulation on the reduction of noise, resulting in improved driving comfort. Pirelli’s first “Green Performance” tyre, CINTURATO™ P7™ has been created to take full advantage of latest materials, structures and tread pattern design in order to guarantee savings, respect for the environment, comfort and safety on all road surfaces. 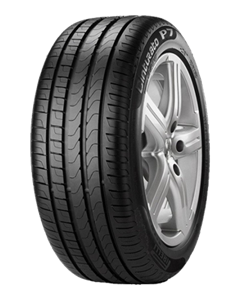 Pirelli CINTURATO™ P7™ is on the top in 2010 ADAC summer tyre test confirming its leadership in terms of performance, safety and eco-compatibility. Have just brought my 3rd Volvo from Volvo West London and once again I have had an excellent service from start to finish. Yoriy our salesman was extremely knowledgeable about all of the choices available to us and made sure we got the car we wanted in the quickest time possible. The sales person I was dealing with seemed very desperate for a sale. I told her that I was interested in buying a used XC60 and this was my first visit in looking at a used Volvo and I would be looking around other places. She kept asking me several times 'what can I say to make business with you now?' I told her each time 'nothing' as I'm looking and want to get the best deal. After emailing her a few times and kept asking more than 3 times how much she valued my cat at she refused to tell me. Eventually I spoke with her manager who was the same. I had to tell them that I'd be taking my business elsewhere due to their incompetence to answer a simple question. It's a shame as the XC60 they had I really loved it. But I can't do a deal with people who are desperate and unable to answer a simple question until I tell them that I will be taking my business elsewhere. That was the only way to get an answer from them. UPDATE: I bought a car from Vlad and he has been incredibly helpful and friendly. Great service from him. Fantastic Service Received by Yoriy and his Manager Richard, this is my 1st Volvo ever that i have purchased and I'm extremely pleased with the car and the service that i have received. its good a feeling when you know you are being looked after and i would highly recommend the Volvo and this dealership to everyone. i will be sure to come back to Volvo for my next car. Poor: in particular, consistency in levels of service, & post-support I love my Volvo XC90. I loved most of the level of sales & service I got from the Volvo dealership I bought our car from - which was not this Chiswick branch. But they are my nearest dealer/ Volvo service so they are the most convenient for me. I have used them twice so far - once to address issues whilst still under warranty, once for a service. On both occasions I have had to take the car back in after the appointment for further work; on both occasions the work took longer than estimated with little or no updates unless requested & then chased; on the current occasion I am still waiting to get booked back in despite them telling me to remind them - which I have done over 3 days, 3 emails & 2 phone calls. Not once has the courtesy been returned by them. The attitude is pleasant enough, but actions have always spoken louder for me than words, & the inaction is bordering on ineptitude. Not good enough. The only reason I've given 2 stars as opposed to 1 - their only saving grace - is that 1 of their service staff at least actually seems to care/ understand what a customer is saying & listen to them. But uncharacteristically he's now also not returning messages. I am left bitterly frustrated & disappointed bordering on angry. I do not recommend this branch & am considering using another from hereon despite them being much further away. The reason I'm posting this is because negative public reviews seem to garner more attention & action than actual feedback. Telling in itself.